ESET cybersecurity researchers perform examination and reverse engineering of potentially harmful samples. They then create a detailed report that includes a dissection of the malicious code, its behavior, and recommendations for prevention, removal and mitigation of its impact. 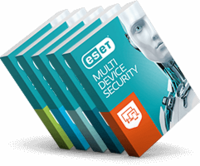 On-demand investigation by a team of ESET cybersecurity experts. They provide detailed assistance and mitigation consulting and suggestions to restore business continuity to organizations that have been breached and suffered a large scale malware infection. Your early warning system or security operations center (SOC) delivers a new threat warning. What are your next steps? Leverage the early warning system to retrieve data on upcoming or new threats. Search all computers for existence of the new threat. 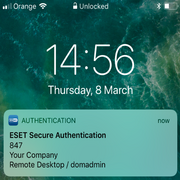 Use ESET Enterprise Inspector to search all computers for indicators of compromise that the threat existed prior to warning. Block the threat from being able to infiltrate a network or execute within an organization. A business wants additional tools to proactively detect ransomware in addition to being notified promptly if ransomware-like behavior was seen in the network. Input rules to detect applications when executing from temporary folders. Input rules to detect Office files (Word, Excel, PowerPoint) when they execute additional scripts or executables. Alert if any of the most common ransomware extensions are seen on a device. View Ransomware Shield alerts from ESET Endpoint Security Solutions in the same console. Fileless malware is a relatively new threat and due to it only existing in memory requires a different approach from traditional file-based malware.